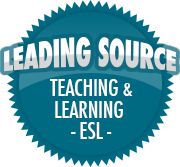 Fire and Earthquake Safety | So, You Think You Can Teach ESL? Yesterday and today, we practiced what to do in case of a fire or an earthquake. We practiced the “stop, drop, and roll” and the “drop, cover, and hold on” techniques. We also had a mock fire drill and practiced our evacuation procedure. It all went pretty well and hopefully the kids are a little more prepared in cause a real emergency happens.